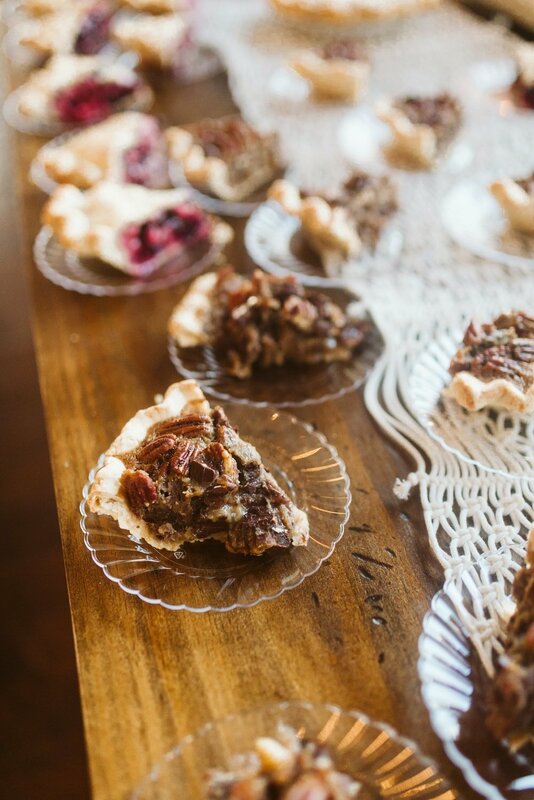 Pies + Petals' menu is thoughtfully curated four times a year allowing seasonal ingredients to inspire our offerings. Since the menu changes quarterly, make sure to inquire to learn of the flavors that will be available during your desired date. 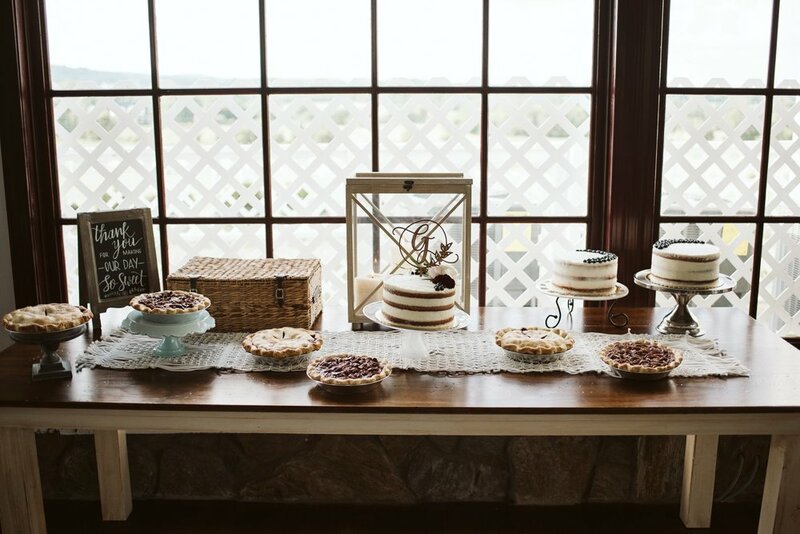 We offer a variety of styling options to personalize your dessert table and pie presentation. We can execute your idea, or dream up something wonderful catered specifically to the aesthetic of your event utilizing props, signs, florals, and foliage. Inquire for costs and details. A variety of cutting cakes are available for a more classic take on wedding dessert. Lissy is an experienced baker who can create a range of pastry to complete a diverse dessert bar. Send over your ideas and we will try our best to make it happen! 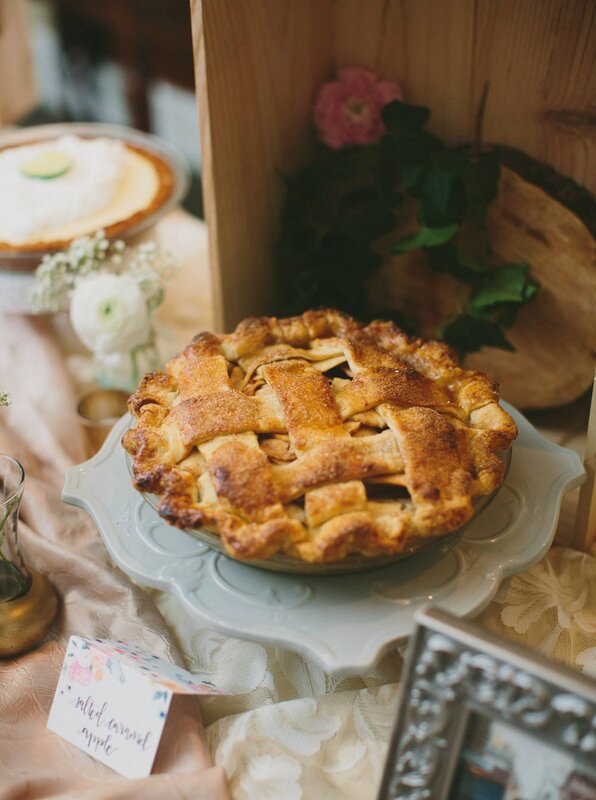 Photography on this page is provided by the following: Pies + Petals, Noi Tran Photography, Natalie Allen, Kiyah C, Ben Swinnerton, and Sarah Gormley Photography.